Carnival Panorama will begin a sailing schedule from Long Beach, California, beginning December 14, 2019. This Carnival Cruise Line ship is very notable, as it will become the first new Carnival vessel in two decades to homeport on the West Coast of the US. 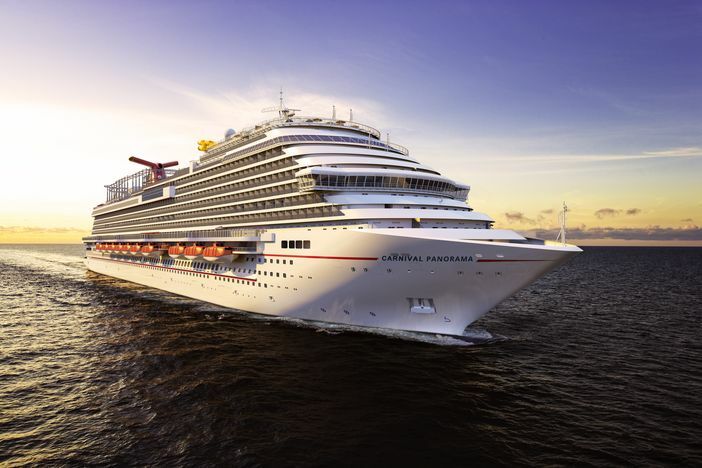 Carnival Panorama sailings are scheduled to begin seven-day cruises to the Mexican Riviera in mid-December. Before this initial seven-day launch, the ship will offer a three-day cruise to Ensenada, Baja California, Mexico, beginning on December 11, 2019. Seven-day Carnival Panorama sailings will leave every Saturday to Mexican destinations, such as Cabo San Lucas, Puerto Vallarta, and Mazatlán. The voyages promise to be exciting, as they will leave from the newly renovated cruise terminal located in Long Beach. The terminal is distinctive in terms of its history as it once served as a homebase for the Spruce Goose, the airplane of the famous magnate and millionaire, Howard Hughes. During cruise travel, guests can take advantage of relaxing beach getaways and visit historical attractions. Shopping and dining excursions will also be available to cruise passengers. The new and extended cruise terminal makes cruise travel easier for embarkation and debarkation from the 146,000 square foot geodesic dome. Carnival Panorama sailings will include a number of onboard attractions as well, such as the Skyride, a bike-ride-in-the-sky amusement and the SportsSquare recreation area. For guests who love water-themed activities, the ship will feature a large WaterWorks aqua park. A Havana section will be featured as well that displays a Cuban-inspired pool and bar. Spacious accommodations will be offered in the Family Harbor area along with a Cloud 9 Spa. The cruise ship will also feature indoor and outdoor food and beverage venues, including the Library Bar and the steakhouse, Fahrenheit 555. Other innovations for the ship will be announced later in the year. If you would like to book a cruise, contact your travel agent or Carnival Cruise Line directly.